Students who are enrolled in more than one course and drop a course during the drop/add period will be refunded the difference in tuition paid and the tuition rate applicable to the reduced number of hours, including fees appropriate to the classes dropped. There is no refund due to a student who partially withdraws after the official drop/add period. Processing of refunds requires at least two weeks.  Students with financial aid should consult the Financial Aid Review section or contact the Financial Aid office for additional information on withdrawing or falling below half- time status. After the 38th day and up to the 45th day of course enrollment, a student utilizing Veteran Affairs (VA) educational benefits may submit a request for withdrawal. The 45th day of enrollment is the last day to receive a grade of “W” for the course. The grade of “W” does not affect a student’s GPA. After the 45th day of enrollment, the student will be awarded a grade based on the work completed up until the end of the course.